Our navy sailors are special to us and they see the world so differently from us, civilians. When they come home, we want to make them feel special and show them how much we missed and love them. Here are some gift ideas for your super sailor. Let's make our sailors feel so welcomed with these gift ideas. Sometimes the best gifts are the ones that take time to put together. Plan a picnic on the weekends with your love. Pack a nice blanket, sandwiches, soda, juice boxes and some chips if it's a lovely day. Get away from electronic distractions like the tv and video games. It doesn't have to cost a lot of enjoy hours of eating and conversing on the grass. Pick a shady tree to sit under. It doesn't have to cost a lot to buy lingerie but you shouldn't opt to not buy lingerie. You can go to Victoria's Secret, if you have the money or you can go to Forever 21 for their 5.99 bras. They are so cute and inexpensive. Plus, how often are you really going to wear them? Might as well make it a reasonable cost. Surprise your sailor with a night to remember after you make a home cooking meal. If your guy has a sweet tooth, bake him some freshly baked cookies. Instead of buying an already cooked box of cookies like Chip Ahoy, opt to bake them from an instant easy dough you can find at the grocery store. The smell of freshly baked warm cookies is the perfect way to welcome your sailor home. Your sailor travels a lot and usually has to pack a lot of things that will help him through the days when he's working on the submarine or boat. Here are some gift ideas you can get him that will help make his life on a ship easier. Buy him an Amazon kindle or fire tablet to bring while he's on the ship so he can read and play games when he has any leisure time. Buy him an ipod or portable music player. Send him some sweet non-perishable goodies, also known as a 'care package'. I find the best unique sweets at Big Lots. I know it's odd because you usually don't think of Big Lots as having great products but they actually have a lot of gourmet food items. It's always such a happy time when our sailor comes home. Treasure those moments. 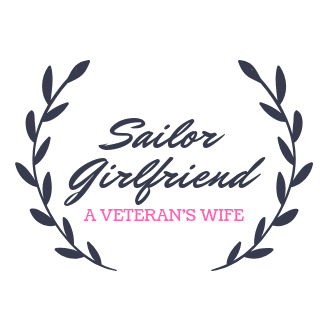 Buy gifts like t-shirts, personalized mugs that shows the memoir of being in love with a Navy sailor. Free baby carrier! Choose your favorite sling color! Enter promo code 4132E9 to get a huge discount offer.